Our under-23s ended a run of four successive home games this afternoon with a 3-2 win against Crewe with two first half goals from Dan Agyei and a winner from Tinashe Chakwana. It really should have been a more comfortable win and would have been but for a crazy few minutes late in the first half. Robbie Brady, who is close to a first team return, wasn’t included for this game but Steven Defour was having sat out the entire game at Cardiff yesterday. He wasn’t quite the influence he was two weeks ago but was still very much involved in our good play. It was probably a surprise that it took us as long as 24 minutes to get our noses in front but it was a good goal when it came with Agyei (pictured) heading home a pinpoint Anthony Glennon cross. Five minutes later and Agyei had doubled that lead, getting into the box before firing home a shot into the bottom corner. At that point I was half expecting a big win but the game turned on its head just a few minutes later. First Ed Cook headed a free kick into his own goal and Crew were level five minutes later with a Lewis Reilly penalty conceded by Oliver Younger. It was hard to believe the 2-2 half time scoreline but we went on to dominate the play virtually throughout the second half and won it 3-2 with Chakwana’s goal that could be considered fortunate; an attempted clearance rebounded into the net off the Burnley striker’s shin. But it was enough to give us our fourth win of the season, and move us a couple of places up the table as we prepare to go back on the road with the next two games at Bournemouth in the Premier League Cup and at Leeds in the league in two weeks time. 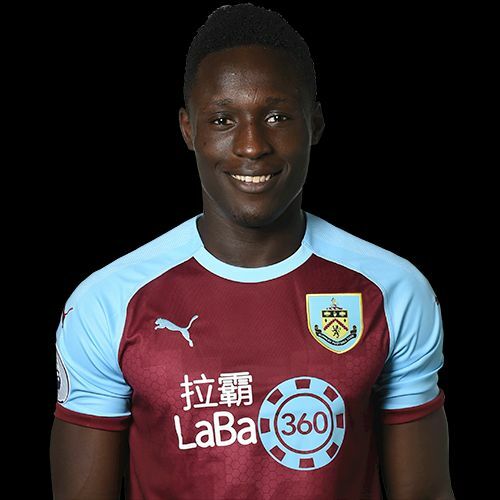 Burnley: Anders Lindegaard, Jordan Cropper, Ed Cook, Oliver Younger, Anthony Glennon, Tunde Bayode (Marley Blair 62), Mace Goodridge (Mark Howarth 55), Steven Defour, Dwight McNeil, Dan Agyei (Trialist 75), Tinashe Chakwana. Subs not used: George McMahon, James Clarke. Crewe: Will Jaaskelainen, Travis Johnson, Luke Offord, Josh Lundstram, Billy Sass-Davies (Tyreece Onyeka 82), Michael Raynes (Matthew Fenton 70), Connor Heath, Harry Pickering (Joe Robbins 64), Lewis Reilly, Malachi Linton, Joe Lynch. Subs not used: Sam Booth, Olaolu Odipe.